The Internet Japanese school sends the information of Japan and the Japanese school for a foreigner. There are many institute in this list. Please choose the appropriate school for you after considering such areas as course objectives, number of lesson hours in a year, and what your study objectives are. For example, if you want to prepare for university admission, you might choose a facility with a course that takes into consideration preparation for the Japanese Language Proficiency Test. If study in conversation is desired, a school offering courses for this purpose should be considerd. An instiuttion that is close to the residence of a sponsoring (guaranteeing) family, friend, or acqaintance who help with everyday matters should also be considered, or you might want to take into account the further education of the institution's graduates. Any number of Japanese language education institution that you might possibly like to attend should be selected and a letter should be sent to all of these institutons requesting the school information application requirements, and application forms. Information should be requested from at least 5 to 6 schools and this information should be thoroughly researched and compared. At this time, think again carefully about which would be a good Japanese language education institute for you before making a final decision. If should also be noted that Japanese language institutes do not have permission to act as employment agencies, for example to introduce part-time work. The school entrance application and other documents should be prepared and remitted in accordance to the produre indicated by the selected Japanese language education institution. It may be necessary in this case to present a health certificate or graduatin certificate from the last school attended. If a graduation certificate is presented where only one copy exist and the application is cancelled or the entrance is not approved, the copy will be returned upon request. Many Japanese language institute will charge a "Application fee" upon the receipt of application. This "Application fee" is not normally returned even in the case of refusal of entrance to Japan. The Japanese Language School of the International Students Institute. The Japanese Language School of the Kansai International Students Institute. Japanese Language Center for International Students Tokyo University of Foreign Studies. Osaka University of Foreign Studies, Center for Japanese Language for Foreign Studies. The Foreign student preparation school of the Chinese Kitsurin goverment. Outside of above, students who have school education less than 12 years cannot enter a Japanese university or special training college even if they graduate from a Japanese language institute. In order to enter Japan, it is necessary to have a personal guaranter residing in Japan. In principle an applicant must have sufficient personal funds, including money sent from home and scholarships, to study and live in Japan. In this case, a system of institutional guarantee is permitted, by which an educational facility accepting foreign students to study the Japanese language can serve as the personal guarantor. 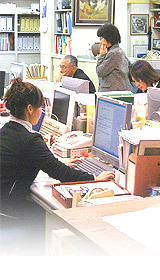 With regard to applicants who face difficulties in taking foreign currency out of their country or receiving remittance from home, entry into Japan is permissible as an exception if the personal guarantor also provides a financial guarantee covering all of the applicant's tuition, living, and other expenses. In this case, the guarantor providing the finacial guarantee must be an individual living in Japan. A Japanese language education facility that acts as a personal guarantor cannot demand any guarantor fee. In principle, a personal guarantor is not permitted to guarantee more than one applicant. To enable an applicant to engage in study activities in a countinuous and stable manner, a financial guarantor must have the economic caoacity to guarantee expenses and, in his or her relations with the applicant, must be recobnized as a person who has the ability to faithfully execute all expenses of the applicant, including tuition and living expenses. The Japanese language institute that has received the application documents will make selections based on its regulations and inform applicants of the outcome (approval of refusal). In the case of not being able to enter a institute because of refusal to enter Japan. The original graduation certificates and paid tuition fees etc. are normally returned. As explained previously, the application fee is not normally returned. The policies of various institute in regards to this fee should be confirmed in the institutes information. Copyright © Murasaki Shikibu Co.Ltd. All rights reserved.